Spectacular balloon drop for any and all occasions, any time of the year! Balloon drop – A unique, spectacular way to use balloons! 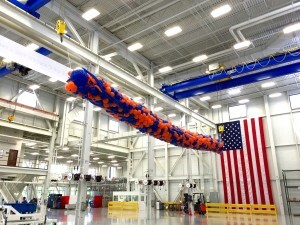 Consider a spectacular balloon drop for your next special event. Balloons contained in a specially designed netted bag are mounted on the ceiling and released at a precise moment creating an effect your guests are not about to forget! 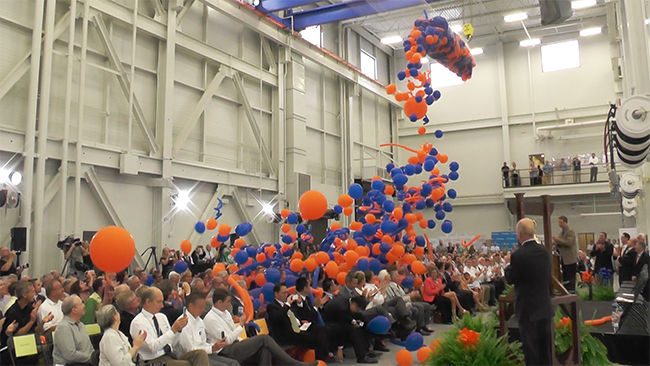 Balloon drops are most effective if the ceiling is at least 20 feet high – the higher the more dramatic the effect! All balloon nozzles cut to minimize being caught in the net. We use various sizes of balloons including spirals which will leave your guests wondering how those balloons are drifting every which way! 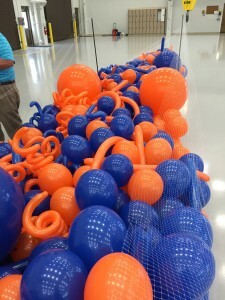 Head over to the kid’s side of our business -> Knoxville Party Magic for access to all the information you need for jaw-dropping balloon releases! New Year’s Eve Party Favorite! A spectacular balloon drop remains an all time favorite on the strike of midnight! Whether you’re in a ballroom, restaurant, event center, hotel lobby, gymnasium, etc., nothing creates the emotional “finale” of a year gone by then a cascade of floating balloons! Volunteer Balloon Decor specializes in the production of these spectacular smile makers! Balloons are inflated on site, one to two days before the grand event. We take care of everything. We will even come back and pick up the balloons if your guests haven’t left with them! Make your reservation NOW for December 31st. Don’t miss out! Be the first on our list this year for a balloon drop you and your guests will never forget! Should you want to add an additional exciting game to your event, while we prepare the balloon drops, we can insert in the balloons personalized holiday messages, raffle tickets, money, anything that will fit can be added. When guests know there’s a hidden prize, not one balloon will remain inflated. Just imagine the fun chaos during this crazy game – and the candid photos you can take! Cost depends on types of sizes & quantities of balloons used. Available are round 9″, 11″, 36″ and tubular balloons 48″ to 60″ and spirals. Your choice of color(s). Call now for a quote and to make your early reservation! November 1st and we’ll throw in 50 inflated spiral balloons.